Hutton in the Forest can be found less than half a mile West of the M6 and junction 41, on the B5305. Along this forested road, the house and its attendant pele tower can be seen from the grass verges (where there is also plenty of parking. But the best thing about this beautiful house, is that it’s open to the public….both house and gardens. The hall consists of several periods of building…..
A pele tower, sandwiched between three buildings, built sometime in the late 14th or early 15th century. The tower is of four storeys, with a stair turret in the left hand wall. 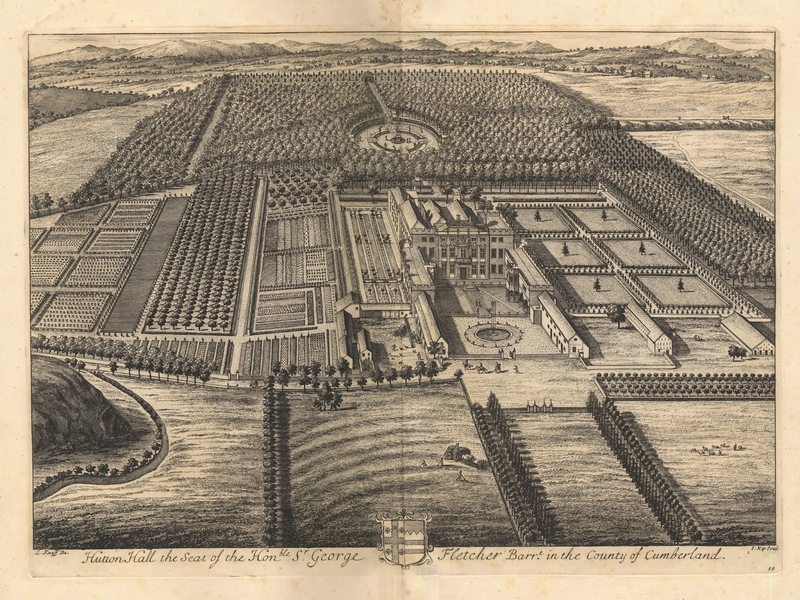 It was built by, or for the Hutton family, and specifically by Thomas de Hutton. It’s believed that the pele tower originally had the additional comfort of a moat and out works or earthworks to assist in its defence. These have long since gone. To the right of the pele tower, there is a range built in the 1630’s by Alexander Pogmire for Sir Henry Fletcher. 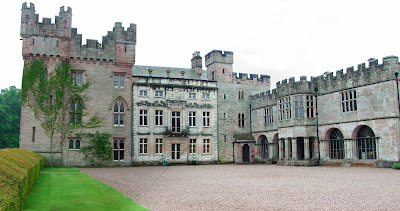 To the left of the pele tower, there is another range, built in 1685 and designed by Edward Addison…also an architect involved in Lowther Castle. To the left of the Addison designed wing, the South Front, overlooking the landscaped gardens below, was built in the early part of the 19th century. This portion of the hall is still lived in. The South East tower was built from designs by Kendal’s George Webster and Anthony Salvin. The tower is huge and very over stated, with massive crenellations and huge arches over the windows. Above. 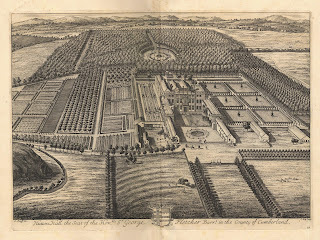 Sketch of Hutton in the Forest showing the hall before Anthony Salvin's alterations. 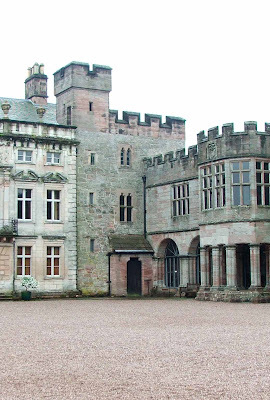 Finally, to the far right of the pele tower and the Pogmore designed wing, a small tower called the Gladstone Tower can be seen. In effect, this tiny building looks like a small pele tower with a stair tower in one corner. 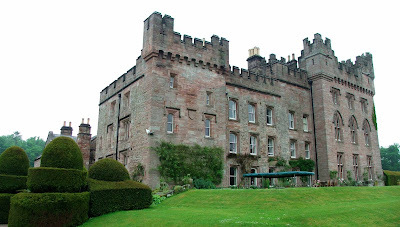 The tower was commissioned by Lady Vane, Margaret Gladstone in 1886. Check the Hutton in the Forest web site for opening times and more information.